so minor setback, i couldn't eat eggs in the morning so my whole day is off the wagon. coffee and fruit salad for breakfast, not enough calories and ofc, loads of sugar. 3 sugar cookies as an intermittent snack oof. since i worked out this morning my body was basically burning nothing. protein + fat charge to make up for this, avocado, chicken thighs and spinach. too few calories so far tho, under 1000 easily... increasing for dinner to reach my 2000 mark. Trying to eat healthier, I'm super into this little snack lately: Matcha Bowl. I'm a huge Matcha freak, I love it to the moon and back, so I had to try this one out, and I absolutely love it! Mix it all, put it in a bowl, and put on your favorite toppings. 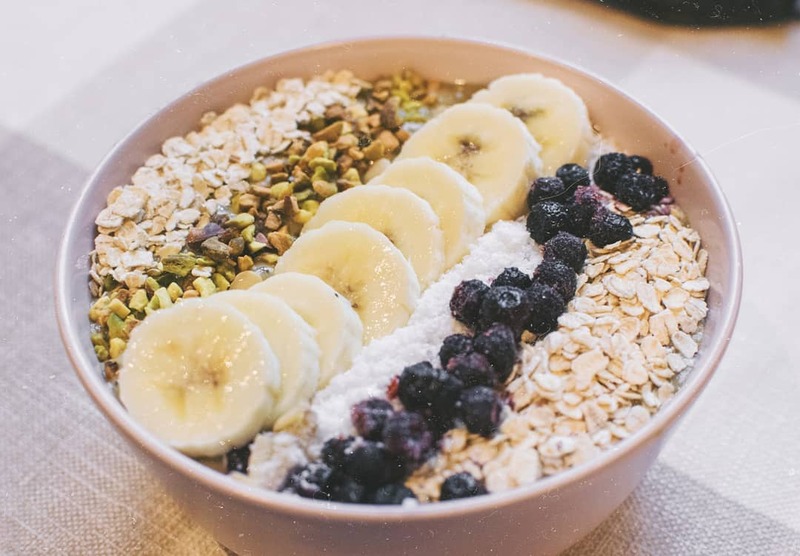 Mines are usually just some oatmeal flakes and blueberries, but I can add on occasions more stuff like coconut, pistachios, almond, banana & kiwi slices, and some strawberries. Basically, do whatever you want as toppings tbh. If you don't like Matcha, I also made a chocolate version for my partner, in which, instead of a teaspoon of Matcha, I added a teaspoon of unsweetened chocolate powder (the bitter kind?) and it was nice too. Anyway, this good yummy stuff is enough for me to last a few hours before getting hungry again, so hum, yeah, there ya go! i sleep better, feel better mood wise in general with less complex carbs. Does some of you know any easy and yummy lettuce salad recipes? i'm kinda tired of my vinaigrette dressing. I usually eat lettuce with tomatoes and carrots, add chopped parsley, corn and salt!